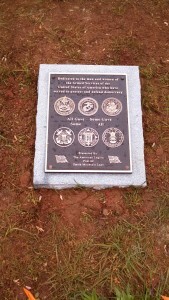 Moneta, Va. – The American Legion Post #62, Smith Mountain Lake, has recently received and placed on the grounds of the Moneta/SML Library a memorial stone and plaque. The memorial is dedicated to all U.S. veterans of all eras. 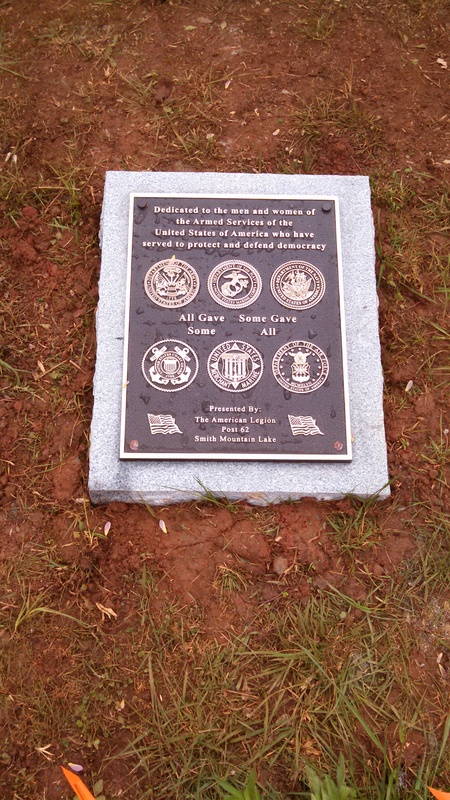 A formal dedication of the memorial will be held 11:00AM on Friday May 15, 2015 (rain or shine) at the Moneta / SML Library located at 13641 Moneta Road Moneta, VA. There will be remarks by public officials and American Legion representatives. The public is invited to attend. There is parking at the Library and across Moneta Road at the Bethlehem United Methodist Church.